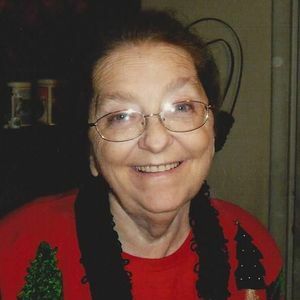 BEAVER DAM- Brenda Kay Mercer, 69, of Beaver Dam died Monday, June 26, 2017 at Ohio County Hospital. Mrs. Mercer was born in Daviess County on October 31, 1947. She was a homemaker. Mrs. Mercer was preceded in death by her parents, Givins and Wilma Waddell, Jr.. Survivors include her husband of fifty four years, Jewell Mercer; son, Jason (Ruthie) Mercer of Beaver Dam; daughters, Freda (Ronnie) Neighbors of Beaver Dam, Rhonda (David Morris) Mercer of Beaver Dam, Regina (Dr. Slobodan) Jugo of Greenville; five grandchildren, Bradley Shephard, Ashley Stinnett, Tyler Gunterman, Carson Mercer, Easton Mercer; six great-grandchildren, Lexis Shephard, Landon Shephard, Layla Shephard, Laettner Shephard, Madison Stinnett, Elliott Stinnett; two brothers, Bobby Waddell of Central City, Billy Waddell of Central City; sister, Norma Avery of Central City. Funeral services will be held Saturday, July 1, 2017 at 11:00 AM at Tucker Funeral Home in Central City with Bro. David Calvert officiating. Burial will follow in Nelson Creek Cemetery. Visitation will be Friday, June 30, 2017 at 4:00 PM at the funeral home. Online condolences can be made at www.tuckerfuneralhomes.com. Donnie and me both are so sorry for your loss, WE send our prayers and thoughts Old friends June"loney" brandon and Donnie Brandon. RONDA SO SORRY FOR YOUR LOSS .oUR PRAYERS ARE WITH YOU AND YOUR FAMILY. I met her a few yrs. back. She was a very sweet person, so sorry to hear of her passing. My prayers go to her family.